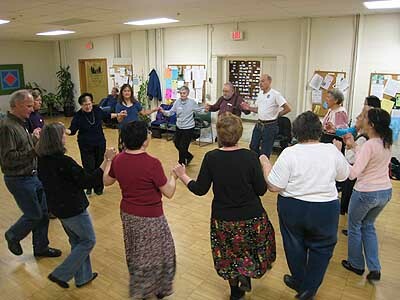 International folk dancing is a great way to exercise, socialize, hear some great music, and learn a bit about the cultures of other countries. EVERYONE IS WELCOME! NO EXPERIENCE OR PARTNERS NEEDED - WE'LL TEACH YOU TO DANCE! Admission: free the first time, then $7 per adult member of either the JCC or the dance club and $8 per non-member. Meets about twice a month; current dates posted below. Parking: available at East End garage across Scio St., in the church's small lot on Scio, or street parking.